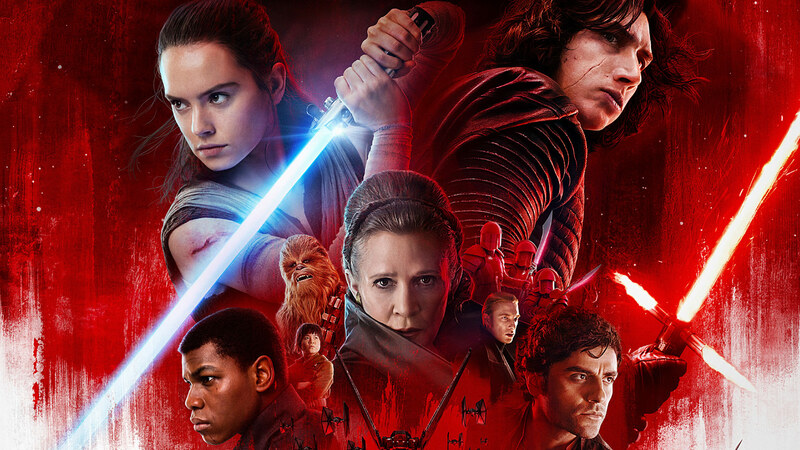 On Thursday 14th December, we were the hugely fortunate beneficiaries of the official Wightfibre Star Wars: The Last Jedi Charity Premiere, which saw hundreds of sci-fi fans flock to Cineworld on the Isle of Wight for a fun-packed evening, with all proceeds going to UKSA. Before the screening kicked off at 8pm, guests enjoyed complimentary drinks and sweets at a VIP reception courtesy of long-term UKSA supporters Wightfibre; entertainment included the presence of Star Wars characters and props from the Isle of Wight Garrison. The VIP attendees, including guests of Wightfibre and UKSA as well as competition winners, were able to interact and have photographs taken with a whole host of characters from the film. Following the VIP reception, guests took part in an exciting charity auction, conducted by Rex Gully of Hose Rhodes Dickson Fine Art Auctioneers. Six auction lots were available including a range of Star Wars memorabilia, a Liz Earle goodie bag, VIP Isle of Wight Festival tickets and an activity day at UKSA. Various local businesses showed their support by donating or sponsoring lots including Liz Earle, Lifeline Security, PC Consultants and the Isle of Wight Festival. Film-goers dug deep to support UKSA, and the proceeds from the auction and raffle amounted to almost £2,500 – a fantastic achievement! All the money raised from the event will be going towards supporting UKSA’s flagship Isle of Wight programme – ‘Test the Water’. This successful initiative has been running for 4 years and has seen 4,524 Year 6 schoolchildren from the Isle of Wight get out on the water with UKSA, enabling them to experience on-water activities, developing valuable skills in the process. For some children, this would have been their very first time experiencing what the sea has to offer. Wightfibre have been a key supporter of UKSA for a number of years now, not only by supporting us through pro-bono and reduced-cost communication services, but also by keeping us at the forefront of their corporate social responsibility plans. This is the second time Wightfibre have hosted a Star Wars Charity Premiere in aid of UKSA (raising over £7,600 in the process); they have also supported young people both locally and nationally by sponsoring a UKSA dinghy, aptly named ‘Princess Leia’. We are hugely grateful for Wightfibre’s on-going support which continues to enable us to work with more young people both on the Isle of Wight and nationally. Thanks must also go to Cineworld, Newport for helping to host the event and for providing such a brilliant venue for the evening.